There was amazing growth in the Hotel Sector in 2017 and, with a fall in the value of the pound after the Brexit vote, there have been more tourists visiting the UK which is good news for the hotel sector (PWC). A rising number of Britons are opting to holiday locally in the UK rather than to travel abroad, which could impact the number of bookings that get made at hotels around the country. So, what does this mean for anyone wanting to sell their hotel? Although the hotel industry is an exciting one, it is also one that is extremely demanding. It is a rapidly fluctuating industry that has seen many of the changes happen within the technology that surrounds the business. It may have been one of these reasons that you have decided to put your hotel on the market, or a multiple of others but, either way, you will be embarking on a long process if you have decided to sell and each step should be carefully considered. Finding the ideal time to make your hotel available for purchase can be tricky but understanding the market will play an important role in the sale of your business. You need to make sure that you hit the market at the ideal time. Put your hotel up for sale in its peak time for business, where occupancy is maximised, and cash flow is high. There are ways that you can give your business more value without spending too much money. Make sure that you pay attention to making your hotel as presentable as possible. Fixing up cosmetic problems around your hotel can go a long way in enticing buyer interest. Planning and organising the finances of your hotel is an absolute must. The more organised you are, the more a potential buyer will be able to get a clear picture of the true value of your hotel. Keep a clear record of your expenditure, costs and overheads and the room rates and occupancy. You should also let potential buyers know what your management staff are like and of their value to the business as well as any future bookings that you have. Do your best to ensure these factors are in tip-top shape and working efficiently for you for the two years before you hope to sell as they will be key to securing an offer. Business Valuation: How much is your hotel worth? Your hotel has value in several completely different aspects and so it’s important that you remember to account for everything when you are valuing your hotel. Hotels will often have expensive interiors with considerable amounts of money being spent to keep designs up to date. These expenses will play a role in the figure that you reach that represents the value of your hotel. Keep in mind things like expensive linen or tableware and conduct an extensive inventory while you decide what your hotel is worth. Your hotel will also be valued at the room prices and occupancies and then, of course, possible future earnings. 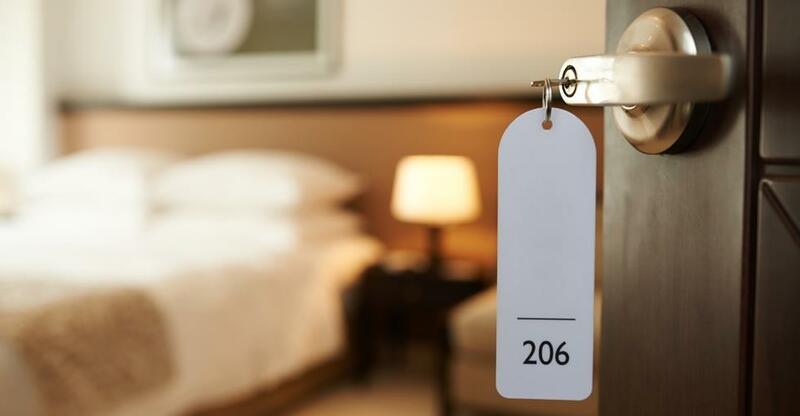 Trying to value a hotel can become extremely difficult, so it may be best to get the help of a professional who can take all these factors into account and help you determine what a fair value for your hotel would be. During due diligence, the buyer will investigate all aspects of your hotel in order to get to grips with their potential investment. The obvious things that will need to be released during due diligence are proof that you’re not in bankruptcy and that you’re in good standing in general. The better your understanding of what is going to be asked for during due diligence, the more prepared your response can be. The goal is complete honesty but remember that you don’t have to volunteer everything in order to be honest! Although you want to strike a deal that both you and the seller are happy with, there is no reason that you should give away more than you need to in the deal. Having a clear understanding of your hotel and what its particular brand is will prove valuable during negotiations. Make sure that you know the worth of the service that you offer. Speak to your customers and get a sense of what it is about your hotel that they like and that keeps them coming back- this will help you to hit on these points in order to explain the value of your business to the buyer. It will work in your favour if you’re able to clearly show what it is that makes your hotel stand out over others but don’t ever over-sell- this is only valuable if it also works for the buyer! 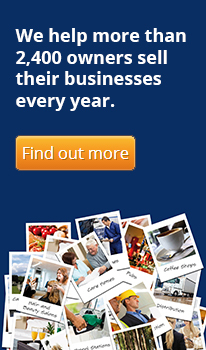 Why Use Business Brokers When Selling Your Hotel? Trying to sell your hotel is anything but easy and, at the end of the day, enlisting the help of someone who can make it easier for you will probably be more than worth your while. Look for a broker that is going to be able to present you with a unique strategy that is tailored to your specific hotel and needs. The more the broker knows your industry, the more likely that they will be able to do this. The most important thing to find out when you are looking for a broker is the type of reputation that they have. You will want a broker that has lots of happy customers and proof of closed deals. No matter where you are along the journey to selling your business, Businesses For Sale can help you advertise your business to more than 1.3 million potential customers. With the UK economy in flux what can the hospitality sector expect in the coming months? Every year thousands of people, ranging from retired couples to lifelong hospitality professionals, choose to buy a hotel or guest house. But why? Blackpool-based hotelier Claire Smith shares her advice on buying and running a hotel or B&B.